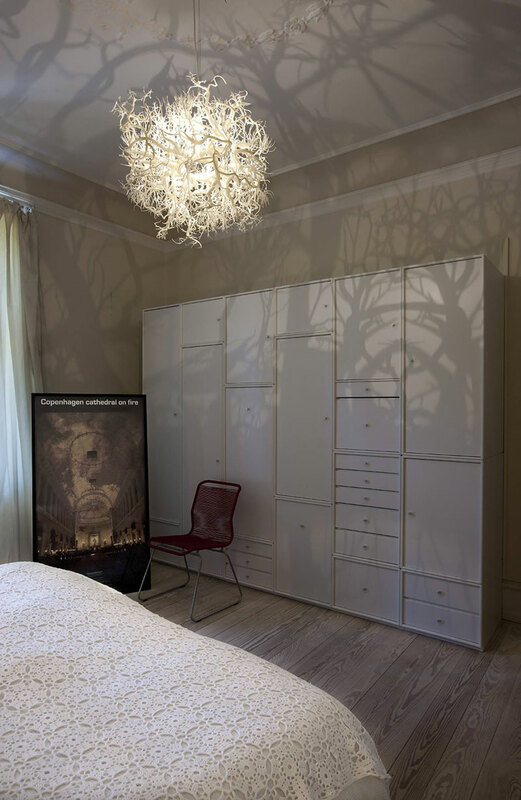 A collection of chandeliers entitled Forms in Nature by Denmark-based design group Hilden Diaz that casts shadows of trees on the surrounding walls. 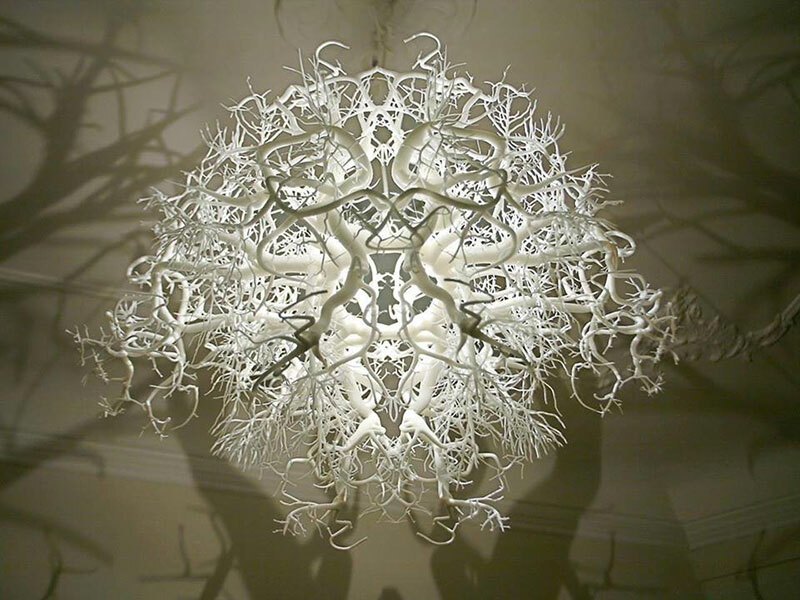 The light sculpture, which was inspired by the nature drawings of Darwinist Ernst Haeckel, is mirrored around its horizontal axis by a dense tree and root system circling a central light source that can be adjusted to varying intensities. 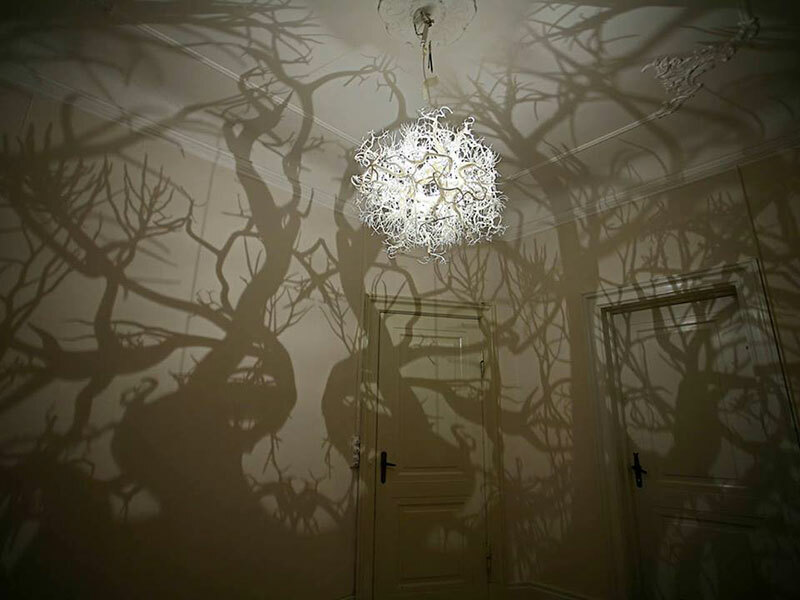 The shadows engulfs the room and transforms the walls into unruly shadows of branches, bushes and gnarled trees. 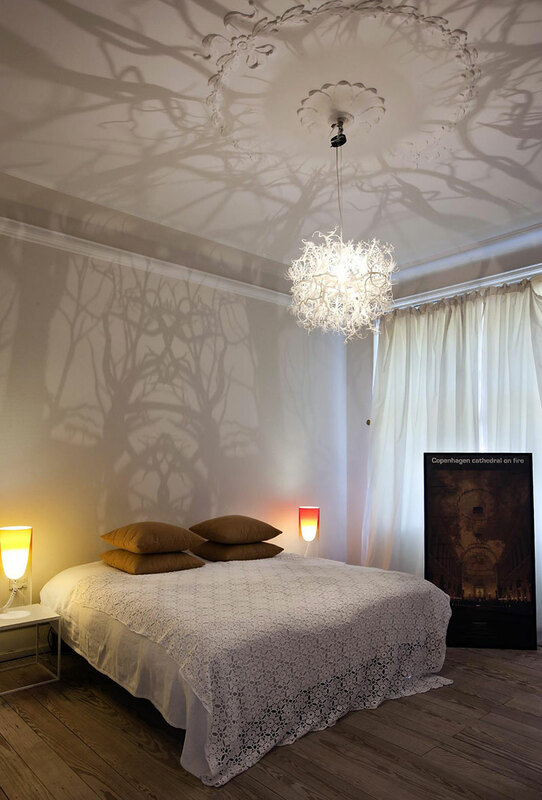 Mirrorings are thrown out upon the walls and ceilings and provide weak Rorschach-like hints of faces, life and flow of consciousness. Diming the lights transforms the installation and one senses a weak fire burning deep in the center of the forest. Hilden Diaz is collaboration between the artists Thyra Hilden and Pio Diaz. 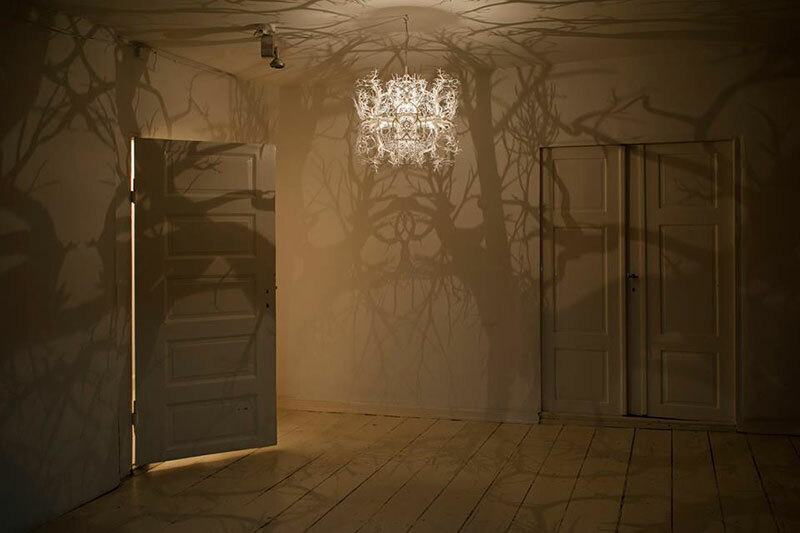 A collection of chandeliers entitled Forms in Nature by Denmark-based design group Hilden Diaz that casts shadows of trees on the surrounding walls.